Shipping restrictions magento 2 extension helps to restrict unnecessary shipping methods instead of blocking all of available shipping methods. 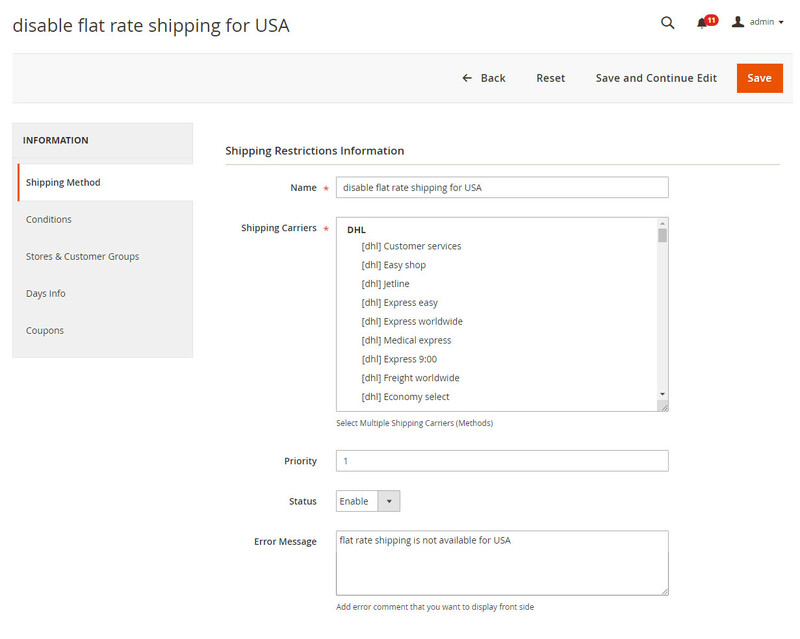 This extension allows restricting shipping methods by country, product’s attributes, order information, cart, country, state, coupon codes and customer groups. The shipping restriction extension gives complete control over the shipping methods. For variable and potential shipping functionality, Magneto2 shipping restriction extension is very well playing a role of importance. With the help of this extension, restrict particular shipping methods based on delivery location, size or weight of the product, shopping cart total, postcode and products quantity. Magneto 2 Shipping Restriction extension used to restrict shipping method based on product SKU and product category. This extension is used to restrict shipping on selected multiple coupon codes, selected days, for example holiday, weekend etc…. 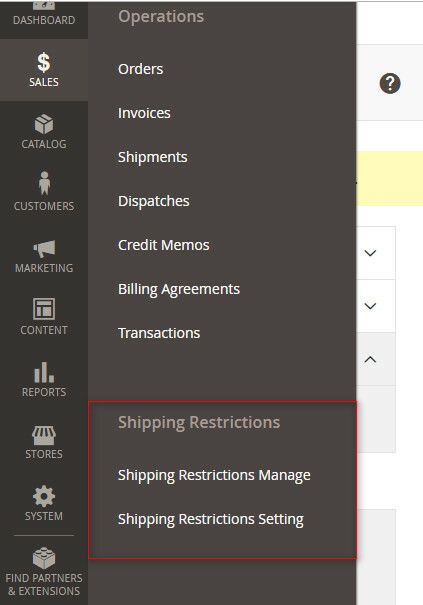 Shipping restriction extension helps admin to create various shipping rules. 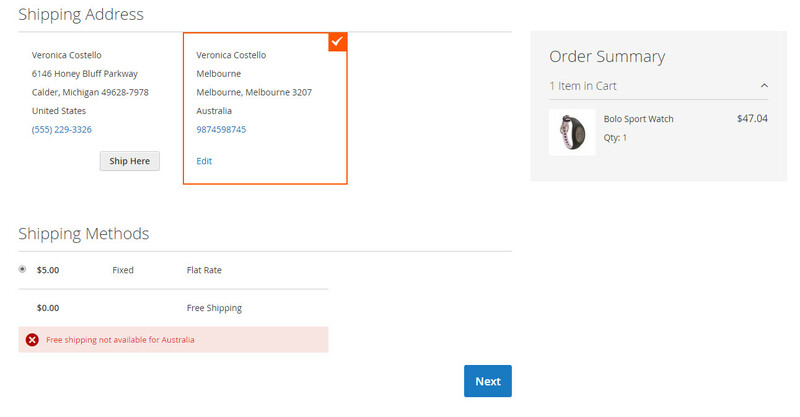 And if customer and their order don’t meet these rules, they get error message display on checkout page and cart page in the shipping method section. And inform the customer which shipping method is restricted, and they have option to choose other shipping methods frequently. Set shipping restriction based on country, state, postcode. Set shipping restriction rules based on cart total, product quantity, size or weight of the product. 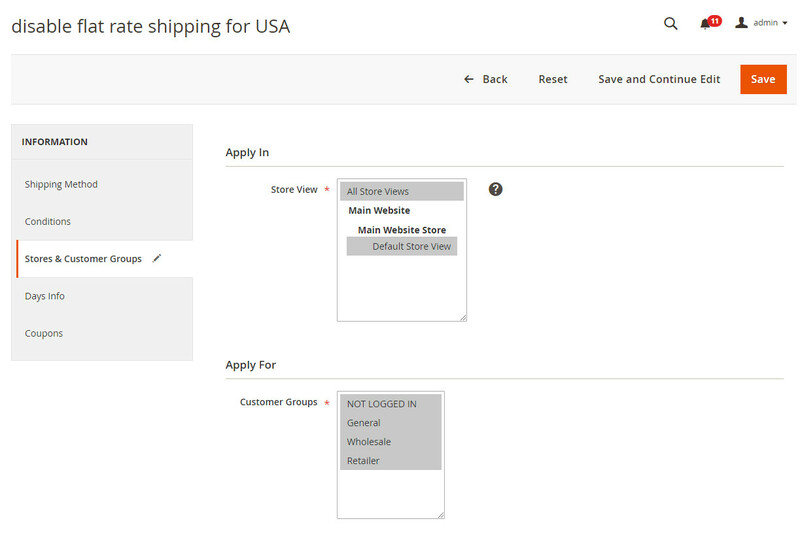 Restrict shipping based on customers groups and store view. Restrict shipping based on product SKU and product category. Restrict Shipping on selected multiple coupon codes, selected days (holiday/weekend/etc…). Restrict shipping based on product attributes, exist customer attributes. 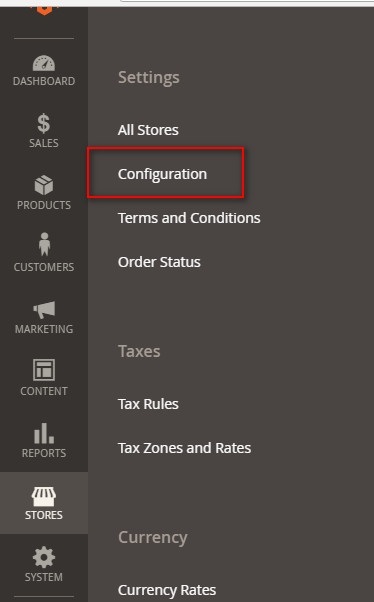 Restrict shipping method order process from the admin panel of store. Helps to set priorities of shipping rules. 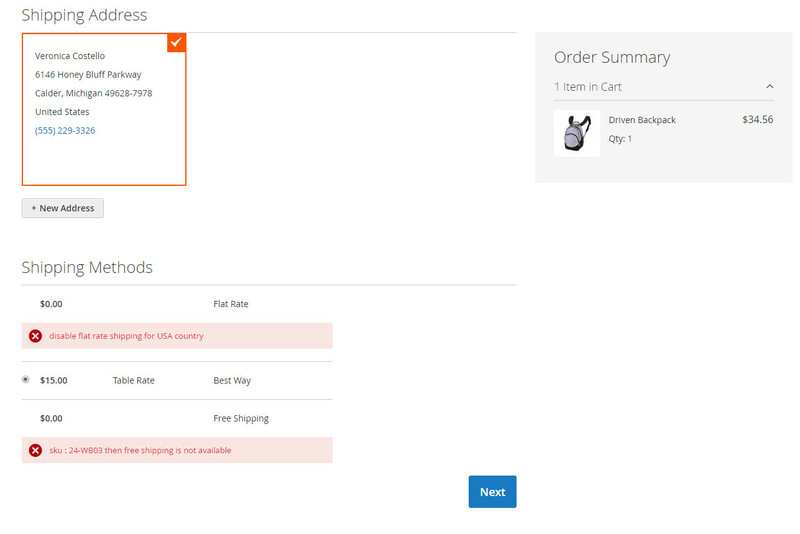 Display error massage for unavailable shipping restriction method rules on checkout page and cart page.